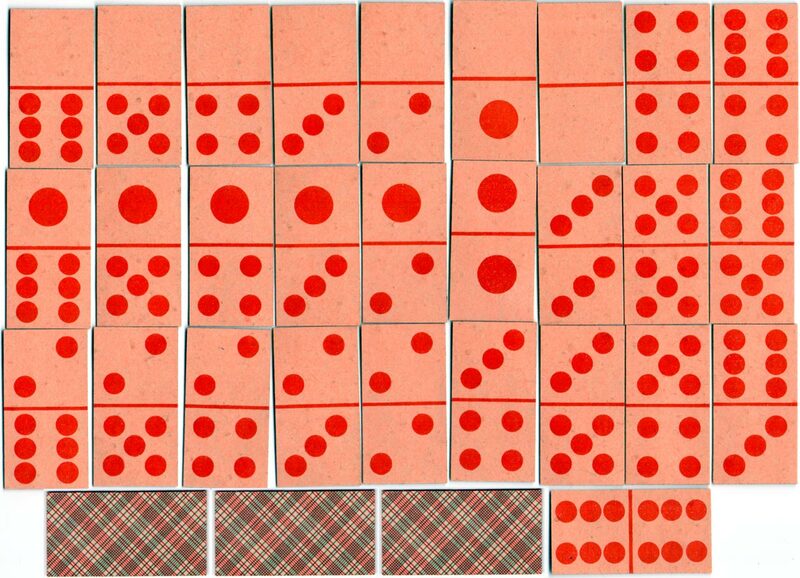 These children’s Domino cards were produced by Mesmaekers for the Far Eastern markets. 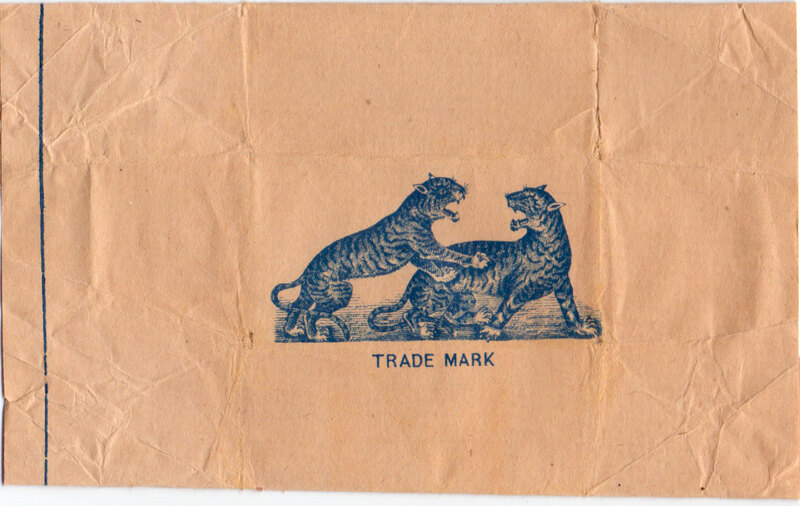 Mesmaekers registered a number of trademarks for their export card wrappers to provide legal coverage in the event of plagiarism. 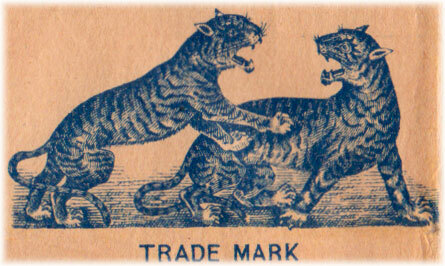 The two tigers trademark (right) was first registered in September 1887 (renewed 1933).